This is a deep rich purple offered by Diamine. I’ve personally always enjoyed Diamine inks especially their darker colours such as Graphite and Damson. Diamine Imperial Purple is one of my favourite from their vast ink offerings. This purple is rich and saturated. It shades well, going from an almost lavender shade to a deep dark purple that’s almost black. 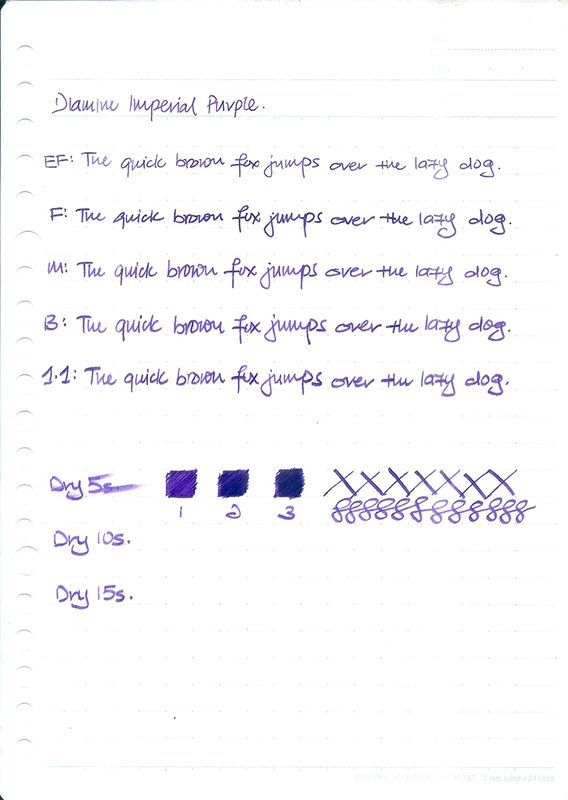 Diamine Imperial Purple goes down as a dark colour but dries to a lighter shade.